The Assassin's Creed rumour mill is in full swing, and the claims are now becoming a regular occurance. With E3 2018 around the corner, the internet is buzzing with activity regarding the next instalment. 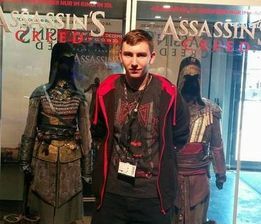 Only yesterday we provided proof that an "Assassin's Creed Dominance" 'leaked' image was fake. Once again, an anonymous user has taken to 4Chan to share details about an upcoming Ubisoft project apparently called "Assassin's Creed Odyssey". ​Previous claims shared on the platform have been extremely inconsistent, providing multiple time periods, character details and claims that ressemble a wishlist rather than actual evidence. The most recent claims are no different, with claims highlighting features that are highly anticipated by Assassin's Creed fans. This is the third time that 'details' have emerged regarding Assassin's Creed Odyssey, and no solid proof has ever been provided which proves any of the claims. 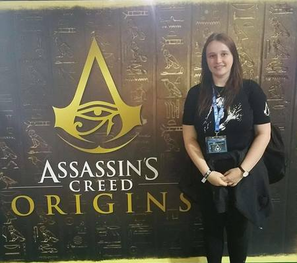 Please take these latest claims with a pinch of salt, as they are the latest in a long line of Assassin's Creed claims and supposed details. ​Please note that although the claims and details are most likely false, we are sharing them to inform the community about their online presence. The anonymous user begins by claiming that this is a picture of the map, and shows the region of Attica (Athens) from the Roman State of Achaea. ​It's clear to see that this image would be extremely easy to replicate, and does not provide proof of legitimacy. 2 Playable characters, but can only play one per play through. Character's have intersecting but different stories, different forms of Eagle Vision, different skills, etc. Map involves Achaea, Macedonia, Epirus, Thrace, The Aegean and Ionian Sea, and Asia. Much like how Unity had districts split in 3 sections, each Roman State is divided into several regions. Target system works similarly to Ghost Recon Wildlands, meaning not all targets need to be taken out before taking out the main bad guy. Only 3/6 "states" need to be liberated. The characters will often have different targets, except the state leader, which are major points of intersection. Naval has a huge amount of customization. All upgrades to your ship are done in game only but more cosmetics are available including flags, sails, paint, crew customization, emblem customization, and "shanties". Some options such as crew outfits, emblems, flags, sails, and shanties will be available in the store. Replayable missions are coming back, as is an option to reset locations. As a result, NG+ is not returning, especially since players cannot carry over anything between characters. Modern day gameplay exists, but isn't too much more than Origins. The details are once again inconsistent, acting as a wishlist for fans. The Anonymous User has once again provided little evidence to prove the legitimacy of the claims, and has not yet given us any clue as to their identity, or to how they apparently have 'inside information' on Ubisoft products. Are they real or fake in your opinion?